Greetings in the Name above all names, Jesus. We pray that this update finds you well, blessed, and overcoming the obstacles that we all currently face in this day and age. 2013 is quickly moving past us, and 2014 is already close on its heels. The year has brought many challenges, victories, and much growth. Whether we are teaching Bible studies, attending Finnish classes, deepening friendships, or ministering in home group meetings, one thing is clear: only what is done for Christ will last. We pray that God is 'with you strong,' and that you are persevering to hold fast to the faith until His return. 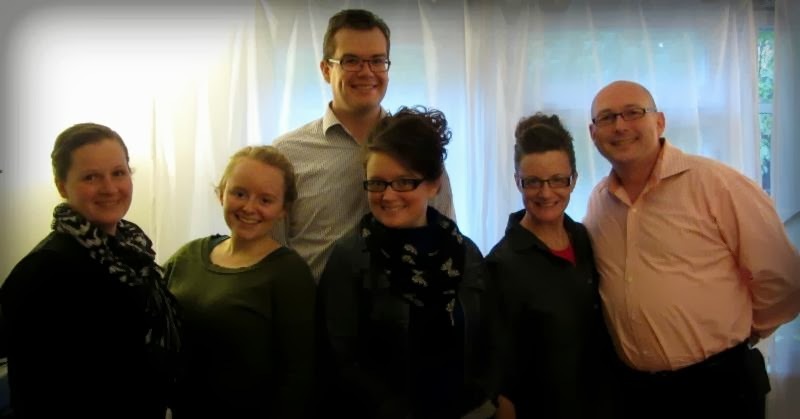 Enjoy this news update from Finland, for God is surely doing some great things in our midst! 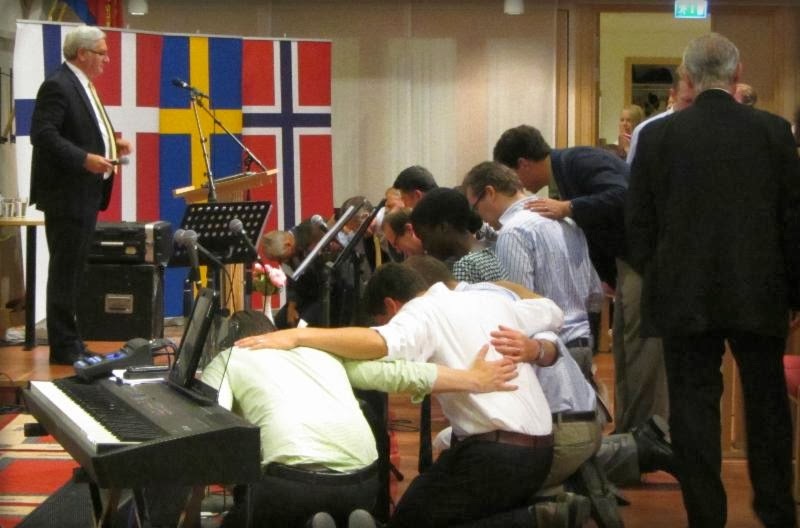 In August, we were blessed to attend the Nordic Regional Conference. The worship teams took us to the throne room of God in every service, and the Lord greatly ministered to the body of Christ through the different messages that were brought forth. 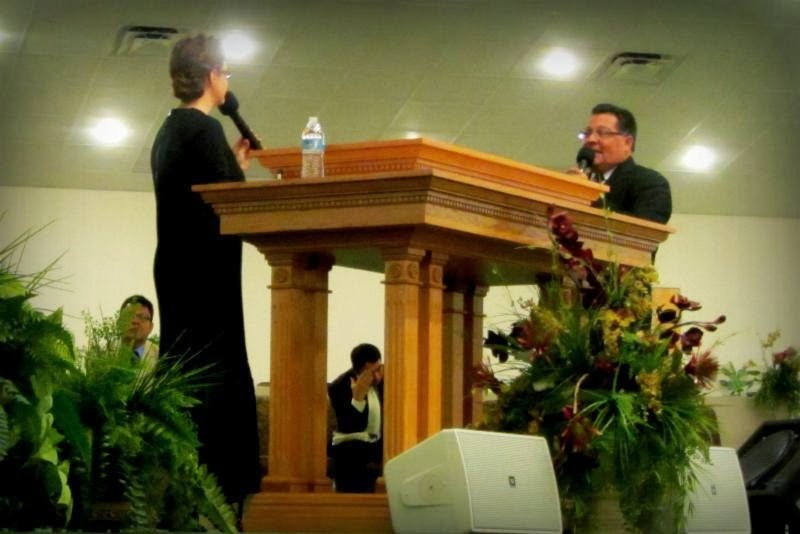 On Friday night, there was also a time of consecration of UPCNC licensed ministry. God was with all of us in a great way! Thank you to those who helped make it possible for us to attend. Also in August, we got to spend some one-on-one, quality time with our Regional Director and his wife, Michael and Dianna Tuttle. It was so good to be able to connect on a personal level and share what God has been doing in Finland. On the last evening of their visit, we had a meet-and-greet with HBS students and friends so that they could meet 'our boss.' Everyone loved the Tuttles and are looking forward to the next time that they will be able to visit once again. In September, we were contacted by an Apostolic Filipino who had recently relocated to Finland for work reasons. She lives in Loimaa, about a 2-hour drive from Helsinki. As there is not another Oneness Apostolic church located within Finland, we are now working with her to build a group there in her city! 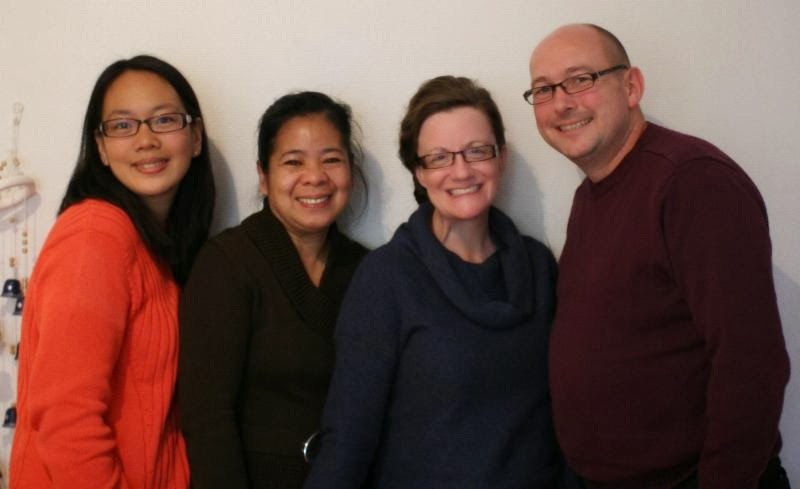 On October 6, she and four fellow Filipino coworkers attended our home group service, and on October 12, we drove to Loimaa to open up a new preaching point there. Please pray with us for this situation: Joyce is currently without her family (husband and three children), and we are trusting God to open doors for them to join her. We are providing her with materials so that she can begin teaching Bible studies as she begins to connect with others. 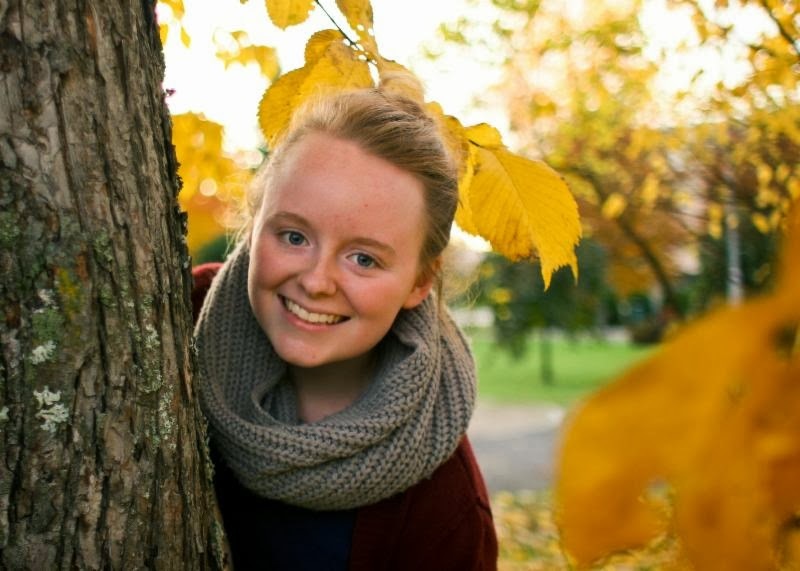 Please pray for her to be sustained physically, spiritually, and emotionally during this time of extreme culture shock, feeling the absence of family, and new growth in the Lord as she becomes a missionary within her new city. 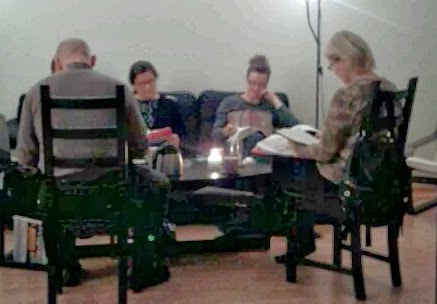 Below: picture from our first service in Loimaa. Joyce is standing next to Glenda (not pictured: Candace Alphin). Since January 2011, Sirpa has been a constant in our lives. 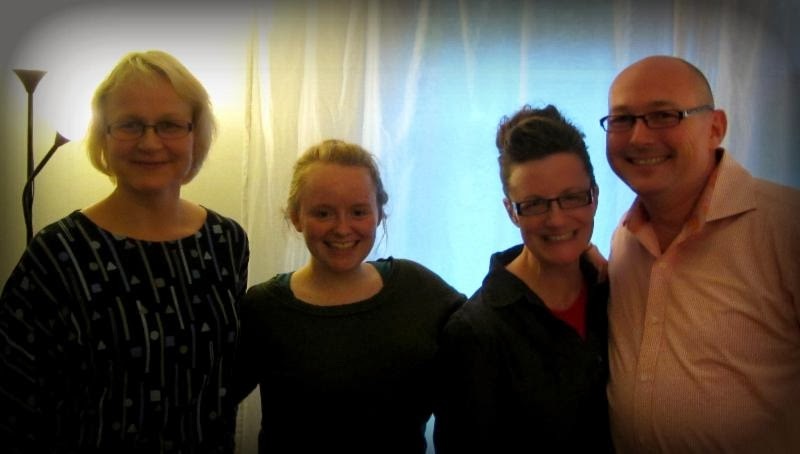 Glenda became acquainted with her through the internet after Sirpa joined Finland's Intercessor Team on Facebook. Once we arrived in Finland, we began creating a friendship. Since that time, she has been an important part of our reaching the Finnish people. Sirpa is helping us translate a number of study materials, including Search for Truth II Bible Study charts; she also interprets for meetings and Bible studies. 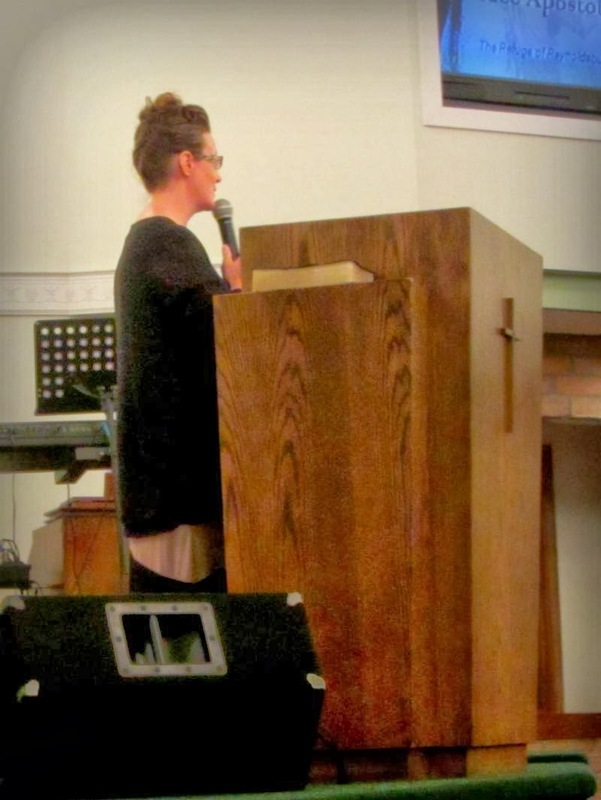 We are truly thankful for all that Sirpa does for us, and for the Kingdom. With her help, we are making progress in Finland! Thank you, Sirpa for all that you do. May God repay you in the ways that we cannot. 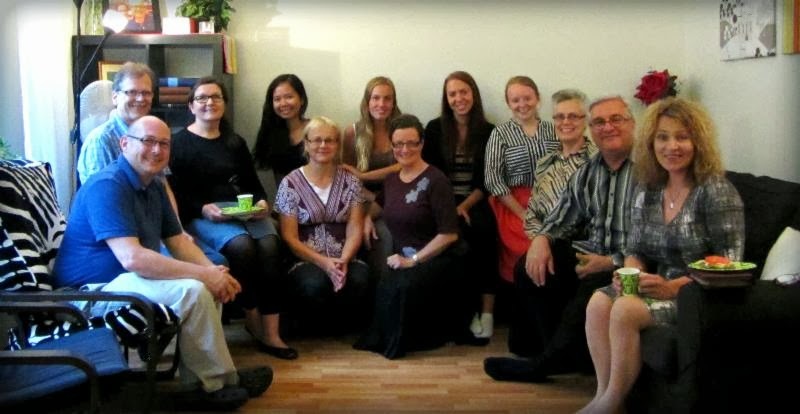 In September, a ministry team from the church in Copenhagen came to minister to our home group. We sincerely appreciate the support that we are receiving from the other pastors within our region. God is creating a great team in the Nordics! We recently relocated our home/house church setting to a new district, Hakunila, within the city of Vantaa. Of late, we have been engaged in much warfare intercession while working to gain spiritual authority within this region. 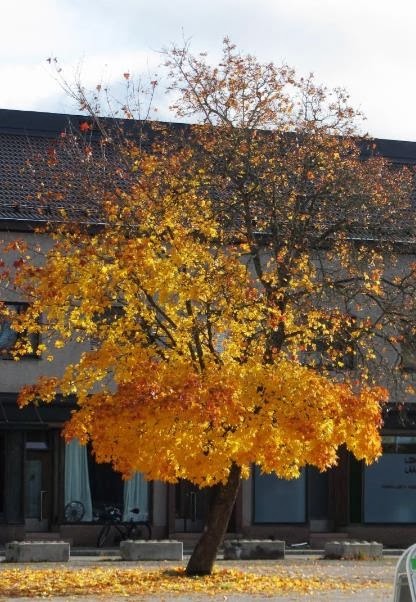 ...that the Lord would dispatch angelic hosts to provide protection and support (do not seek the engage the enemy; we just need a covering); that the light of Jesus would shine in this new area, pushing back the forces of darkness; that Truth would shine forth from us when we encounter people within our new neighborhood. Bind depression, worry, confusion, anger; loose peace, joy, clarity of thought. ...that our minds freely process the information that we are obtaining; that speaking would flow easily. We're asking God for supernatural help in this area. Bind confusion; loose clarity of thought. ...that those we teach would have an understanding of the Oneness of God; that all would understand that fellowship with others, of like precious faith, is of the utmost importance to one's continued growth within the Body of Christ. Bind confusion, error, apathetic approach to Truth and the necessity of salvation. Loose wisdom and knowledge, the spirit of God to bring conviction. ...that our budget would be sustained. Bind spirit of poverty, loose financial blessings on those who have a desire to give but cannot due to economic constraints. Please feel free to share this email with anyone that you feel would be interested in TEAM FINLAND. Candace, who turned 19 in September! 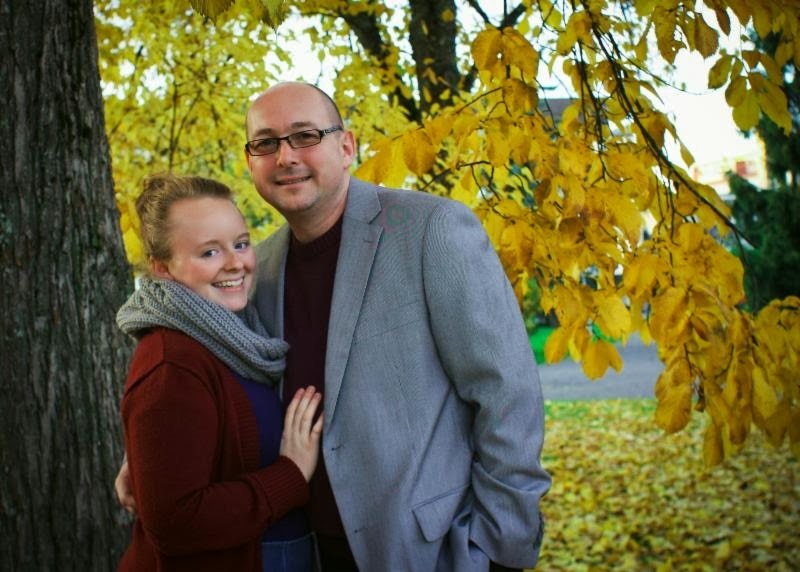 Our daughter, Miranda, has accepted the marriage proposal of Rev. 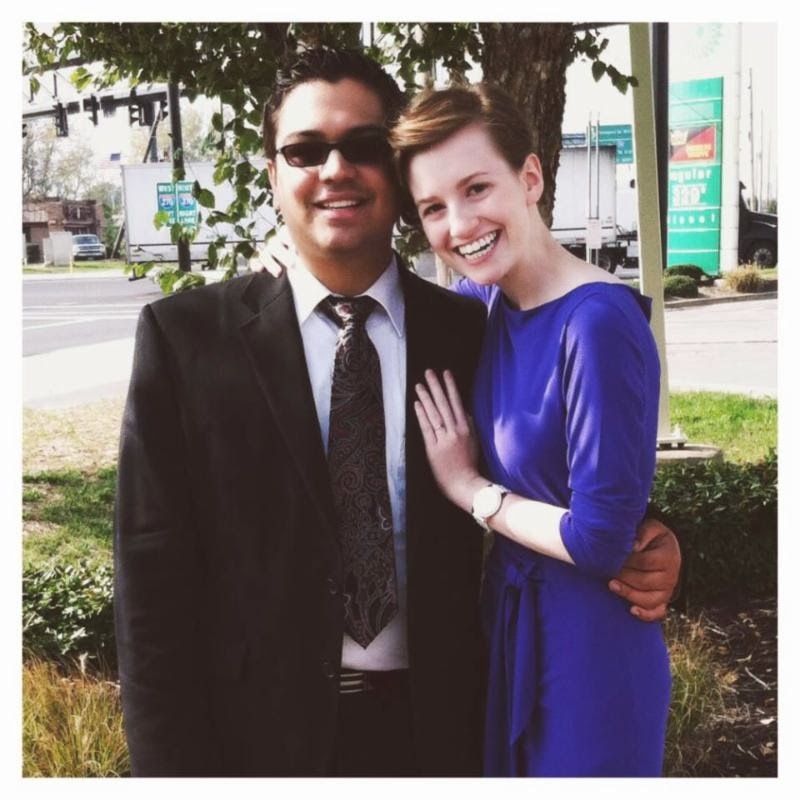 Stefan Vitanza, and they are currently planning a 2014 wedding. (Glenda was able to meet Stefan during a recent trip to visit Miranda.) We are excited about this development in Miranda's life, and look forward to their bright future as they work together to expand the Kingdom of God. God has truly been faithful! All that is occurring is by His hand, and we shout praises unto Him with voices of triumph! 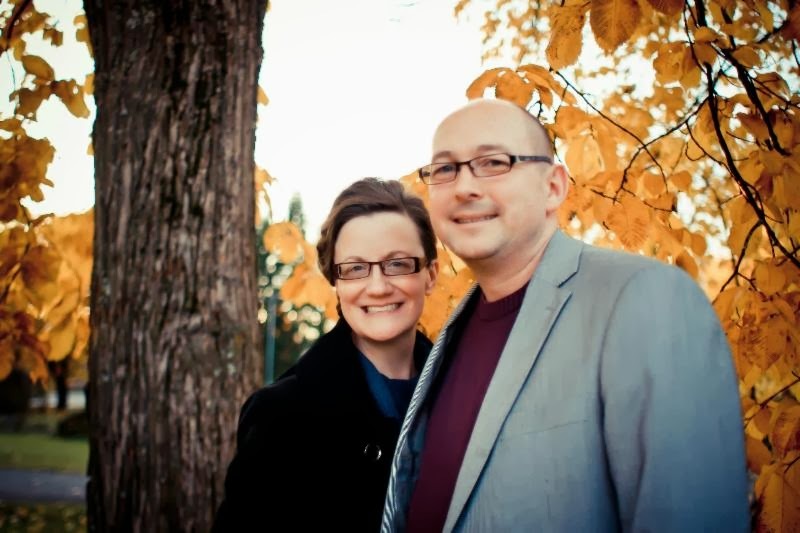 Thank you for your prayers, thoughts, encouragement, and support while we labor to work for Him in Finland. May He bless you abundantly and beyond measure. He is truly a Faithful and Loving Savior! 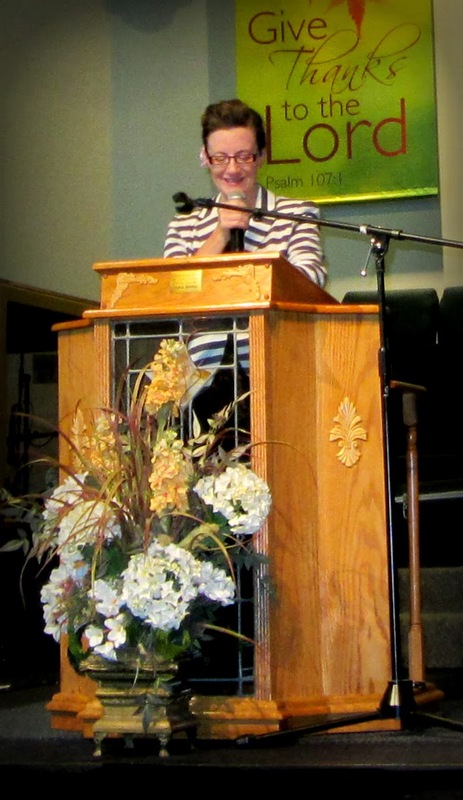 Glenda presenting Finland at Grace Apostolic Church, Reynoldsburg, OH.